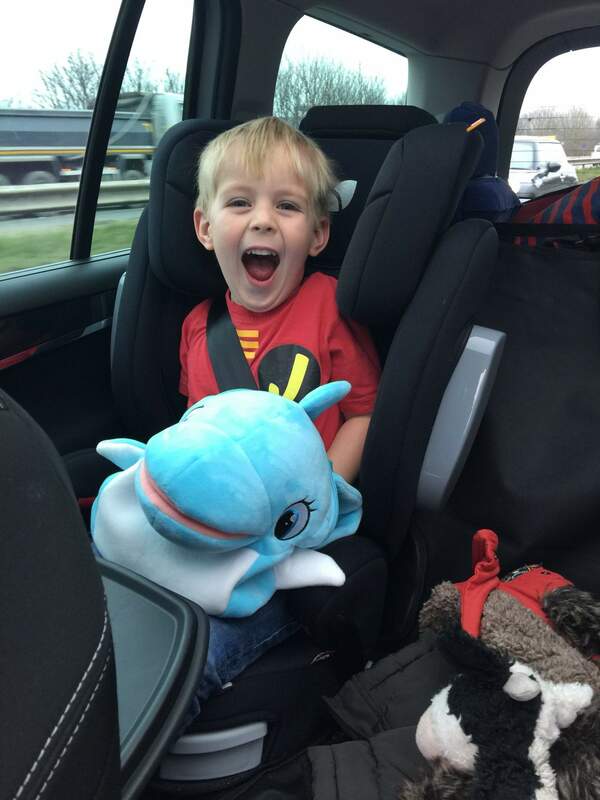 We were sent two Club Petz singing backpacks for the purposes of this review; a Lucy the Dog singing backpack, and a Blu Blu the Dolphin singing backpack, both of which went down very well with my two boys. We took them on our holidays to Malta, and they were loved so much that James in particular didn’t want to take his off! The backpacks have some fantastic features. My boys love their singing backpacks. Blu Blu’s mouth moves as he sings, and he has three songs. You can switch on his songs by squeezing his fin or the there’s another button on the backpack strap. The battery pack is held within the inside pocket, and all the wires are hidden. Only an adult with a screwdriver can get to the batteries, so there’s peace of mind for parents. Both bags feature 3 songs. It’s just the music, and not actual singing, but Blu Blu the Dolphin sings with a sort of dolphin-y click. If you don’t take the bags out of “trial” mode by flipping the switch on the battery pack, then your Club Petz singing backpack will only sing one song! Because the bags are soft and cuddly, we were able to take them on the plane with us as toys, and not as pieces of hand baggage! 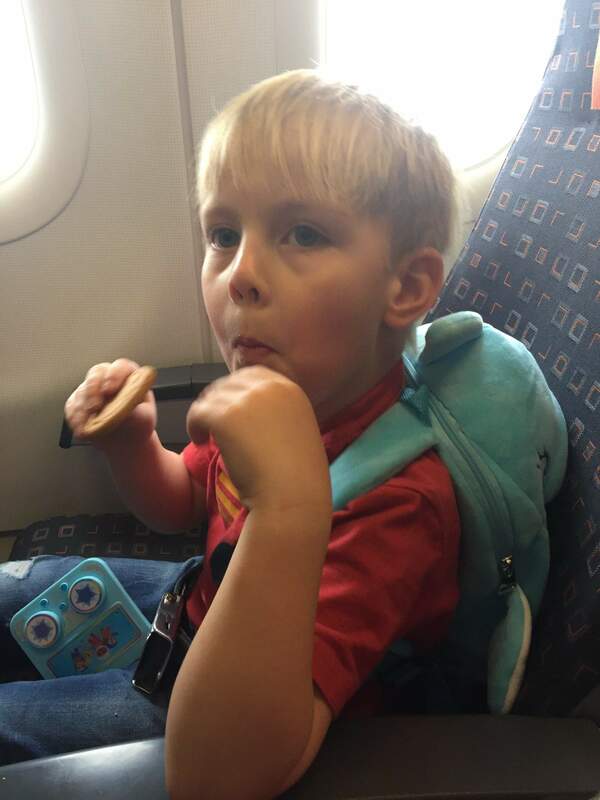 Read about the pushchair we took on the plane in the overhead locker! 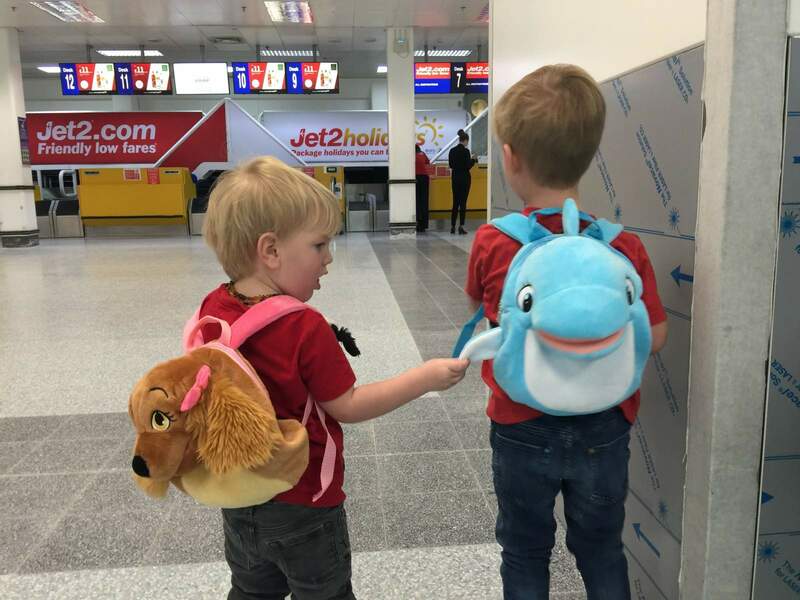 The bags have zip fastening and adjustable straps, so they’re perfect for little hands, though the manufacturer does not recommend them for children under the age of 3. We keep a close eye on Noah whenever he uses his Club Petz singing backpack. If you would like to buy your own musical backpack, then you could use these Amazon links below. They are affiliate links, which means you pay the price you see on Amazon, while I receive a small payment.